Charlotte HOA/Community Association/Condo Manager's Professional Association Releases Positive National Industry Survey Results | Company Newsroom of Association Management Group, Inc.
May 12, 2016	(Press Release) - Association Management Group (AMG), one of the Carolinas' largest professional homeowner association managers with five offices in North and South Carolina, announced that the recently released results of HOA professional association Community Associations Institute's (CAI) national HOA resident satisfaction survey substantiates the findings of its own annual resident survey, in progress now. According to the May 2016 report of the Foundation of Community Association Research, a non-profit organization that researches and analyzes trends in community associations and the education arm of CAI, 84 percent of homeowners across the nation believe their volunteer boards act with residents' best interests at heart; only 10 percent believe they don't. The Foundation survey also revealed that 66% percent of association residents say community rules protect and enhance values. Only 5 percent believe the rules harm property values; 22 percent see no difference. AMG is a long-time member of CAI. AMG surveys its customers' residents every year, charting their satisfaction as a way of improving performance and jump-starting the innovation of new, better services. According to the annual AMG survey, of the thousand residents living in community associations managed by AMG, satisfaction with HOA living was an average 97 percent, a third higher than the May national average of 65 percent. There are 19,000 community associations in North Carolina. 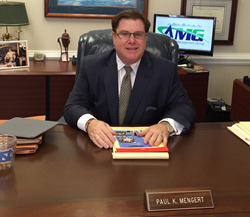 According to AMG Founder and President, Paul Mengert, former president of NC-CAI, the high satisfaction rating comes from a sense of commitment. "HOA leaders volunteer to work hard at serving their community because they care: It's home, and homeowners feel that commitment," he said. "According to an April Gallup Poll, only 17 percent of surveyed Americans approve of the job Congress is doing; 79 percent disapprove. While the national political conversation has turned divisive, the local conversation in planned communities remains positive because leaders across the nation, and in North Carolina in particular, remain in complete unity: They are committed to working together with their residents to create healthy, harmonious communities. As a management company, we feel our job is mostly about customer service-helping volunteer leaders provide that outstanding service to their residents."